Mum kangaroo loved her baby. Why wouldn’t she? Her world had changed after she saw her baby. HER baby. It gave her a sense of pride, a sense of happiness. It was a joy just to see the baby, turn into a bigger baby. She always kept the baby close to her heart. Never letting the baby go out of her sight. Time went by and the baby grew up. Much to the Mum’s surprise, the baby was now old enough to make Mum a grandmum! But that was for the world. For Mum, baby always remained a baby. One day, baby told her Mum that she was curious. Baby wanted to see the world. Mum said, “I’ll come with you.” But baby, wanted to be alone. “ABSURD. RIDICULOUS.” Mum said. This changed behaviour of baby shocked Mum. She never thought baby could ever want to go away from her. Mum kangaroo had a friend. That friend stayed on a tree and laid eggs in a nest. So everyone called her Birdie. Every once in a while, the eggs would turn into little birdies. Then Mum birdie would save food to feed them, and work double shift to cope up with the pressure. 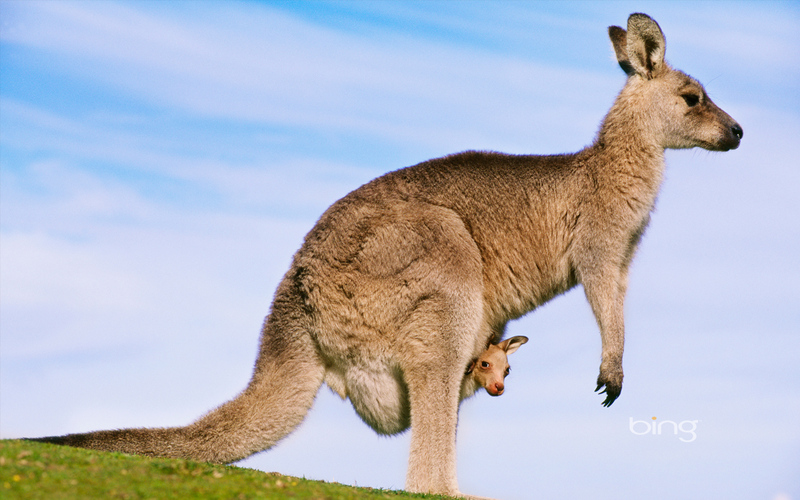 One day Mum kangaroo saw something strange. Mum birdie was pushing her little birdies off the high branch. Mum kangaroo yelled, shrieked. Called Mum birdie names for pushing her little ones away and letting them go. But Mum birdie motivated her little ones to jump. They looked at their Mum and took a leap of faith. They fell and they fell! Mum kangaroo closed her eyes and opened only when she heard the sky full of exuberant chirps. Little ones were soaring high! Mum kangaroo didn’t sleep that night.